Last Sunday night, my friend Nick Tripp invited me over to his house for a viewing party of Sound City — a documentary film directed by Dave Grohl (Nirvana / Foo Fighters) about the famed Los Angeles recording studio, Sound City Studios. The documentary was incredible (and you should watch it!). The studio opened it’s doors in the analog recording world of the early 1970s. They took the world by storm with unbelievably high-quality reel-to-reel recordings they were able to produce by using the acclaimed Neve 8028 mixing console. Fleetwood Mac, Rick Springfield, Johnny Cash, Tom Petty and the Heartbreakers, The Black Crowes, Red Hot Chili Peppers, Nirvana, Neil Young, Elton John, Cheap Trick, Metallica, Foreigner, Grateful Dead, and the list goes on … and on … and on. They all recorded masterpieces at Sound City Studios. I learned several important things from the film. 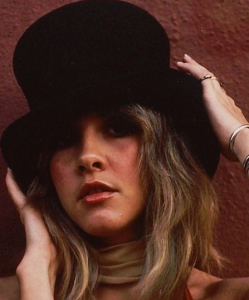 First, young Stevie Nicks was a bona fide hottie (see image for proof!). Second, I definitely need to listen to more Fleetwood Mac and Johnny Cash. And third … well, keep reading. In the late 80s, the analog recording world began to crumble and give way to a new digital era. Instead of cutting and splicing analog tape to remove a mistake or piece together the best parts of different takes, you could use a computer mouse to click, select, delete, insert, copy and paste. For a band to record in the analog world, it required a lot of collaborative effort and cooperation and practice. One person simply couldn’t do it all. But in the digital world that was unfolding, it all began to change. As more digital tools emerged, and as more virtual (computer based) instruments were developed, it turns out one person could do it all. Which led to my favorite part of the documentary … when Mick Fleetwood addressed this new reality by saying something incredibly profound. I think the downside these days is thinking that I can do this all on my own. Yes you can do this all on your own. But you’ll be a much happier human being to do it with other human beings … and I can guarantee you that. So unbelievably true. I want to live my life (and my faith) more analog. More collaborative. More together. I’m convinced that is how God intended it to be lived. We’d all be much happier human beings.